Family house located on a small hill, in a peaceful community of 3 houses. 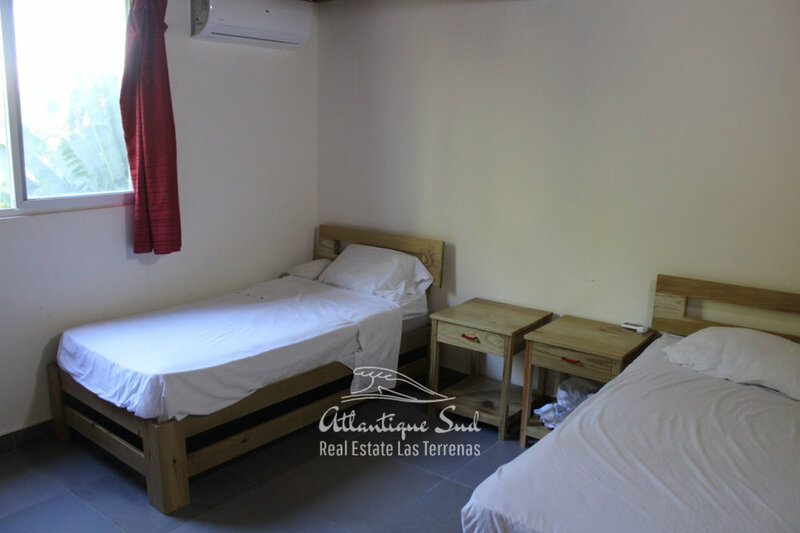 The property is only steps away from “Las Ballenas” beach where future tenants will enjoy the sandy beach, some nice restaurants, a sailing club and a recreation area for the kids. 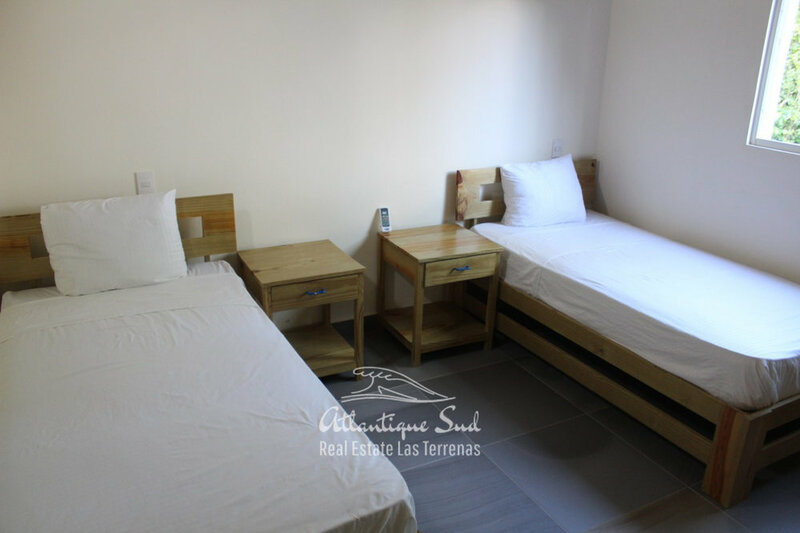 On the first floor, an open concept with large window doors opening to the terrace and a practical kitchen opening to the living area, 2 spacious bedrooms and one bathroom. 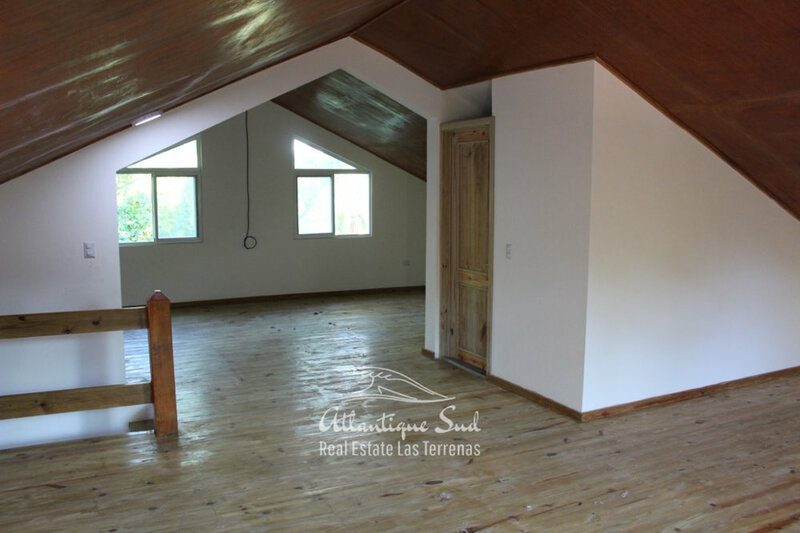 On the second floor, a surface of 860 f² (80m²) can be divided into 2 very commodious rooms or a small studio. There is also a bathroom. This space offers plenty of possibilities. 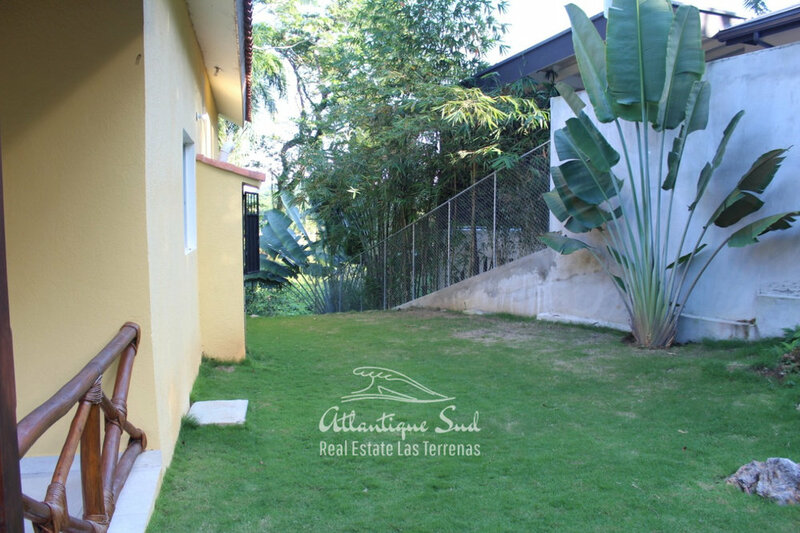 The house sits on a land of 4,489 f² (417 m²) with a beautiful back yard oriented towards the tropical nature. 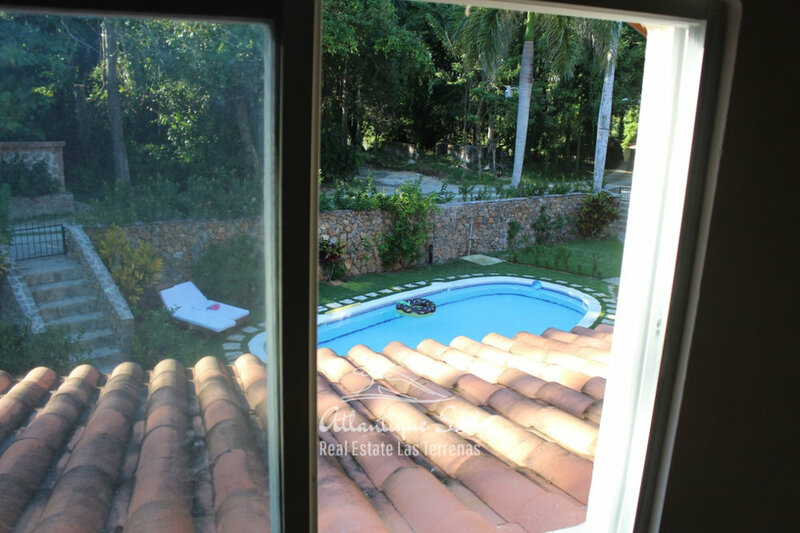 Possibility to build an intimate terrace with jacuzzi in the back of the house. 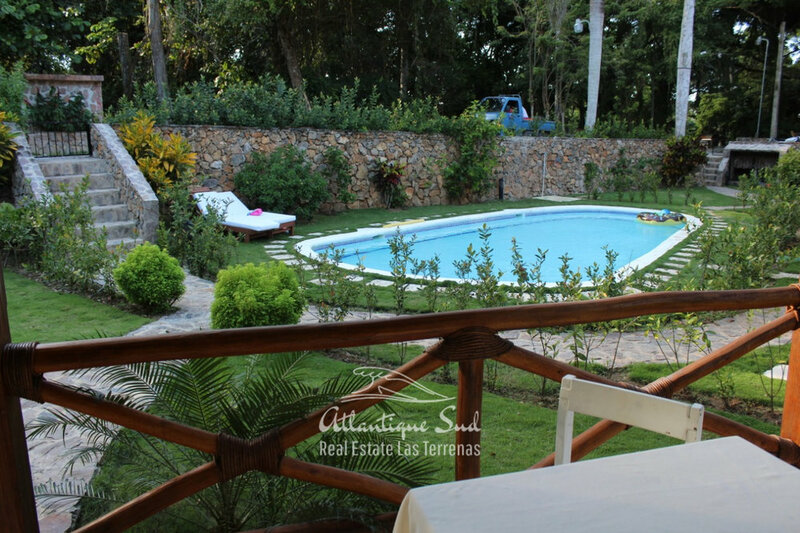 In front, a 217 f² (20m²) covered terrace by the common pool and gardens. 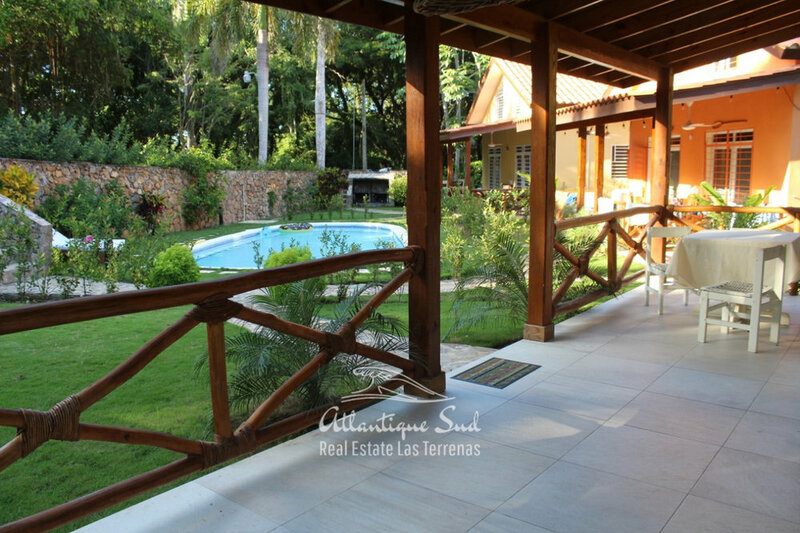 Ideal property for a small family or for vacationers looking for tranquility, nature and easy access to the beach at a very affordable price.